More to come. We are just getting started rebuilding our website as well as readying it for our upcoming investigations. Hopefully, we'll have more to put up from those. Stay tuned!! While there wasn't much information out there on this particular church, we had to dig a bit deeper into it's past. We talked to a few of the members as well as leaders and discovered that they had brief records of the past 100 years. Most of which were minutes. So we obtained a copy of that and have it in our files. Not satisfied with our research to see if this church had ever housed the sick or dying we found ourselves at the hall of records at the court house as well as the Historical Society. We did manage to find the original deed as well as names and dates. The deed alone was intriguing. It was back in the time they actually wrote them out by hand. Also there was a map available that we were able to get a copy of showing that the church not only owned the grounds that the church itself sits on but also there is a piece of ground across the street that they never built anything on. It remains empty to this day. In our research we discovered that there was a former pastor that lost his son in the war. A room stands dedicated in his memory. It remains unclear if they ever used the church as a make-shift hospital at any time. Buckingham - One of the orignal townships. 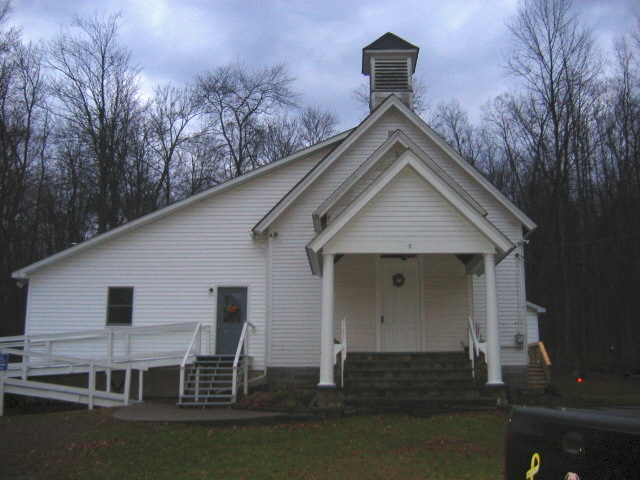 Buckingham Baptist Church, commonly known as the Starlight Baptist Church, held their first covenant meeting on May 9, 1891. 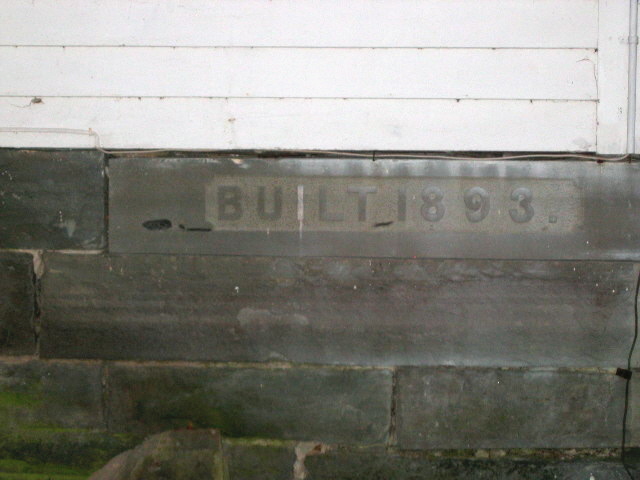 The church was first erected in 1894. Reverand A.P Merrill was the first pastor. Current records go back to a May 7, 1891 "covenant" organizational meeting from which the current Buckingham Baptist Church grew. It is this date they use as their beginning. The records include a list of recognized members as of 1889, indicating that there were as many as thirty-eight members involved at this time. The church grew steadily toward the twentieth-century.In 1893 the members, while meeting in the school house, declined an invitation to return to the Kingsbury Hill Methodist Church and instead formed a building committee. Trustees elected in October of 1893. The covenant meetings are silent as far as construction details, but the August 11, 1894 minutes indicate that the members were "very thankful for their new house of worship - felt that the Lord had blessed." It is the very same building that they worship in today. Worship was not easy for the early church. Harsh winter weather cancelled services for the deep winter months. Two wood stoves and kerosense lamps required a janitor. Transportation required a committee on horse sheds in 1899. In 1945 the trustees raised $168 for the installation of electrical lights.. 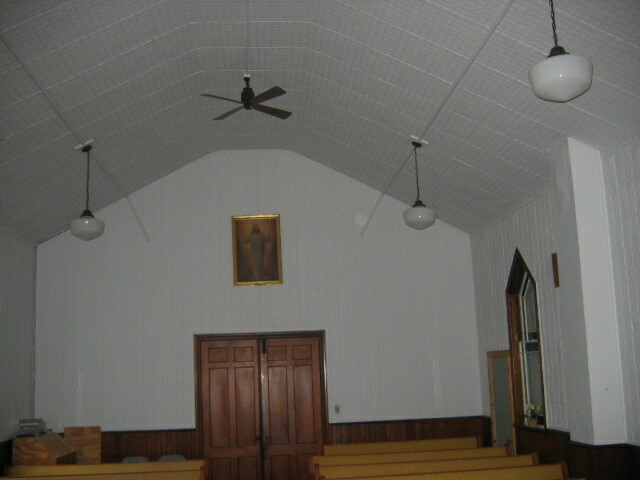 The new Sunday school rooms were dedicated on April 1, 1973 and a plaque in memory of Denny DuMond, purchased by the youth group, was placed in the new addition. I decided to sit down at the table and just get a feel for the room as well ask questions. This evp (if you can call it that as I hear it with my ears). As I ask questions I was recieving audible taps. At one point in the investigation I did ask about children and a woman's voice can clearly be heard saying, "their dead". The tapping goes way beyond coincidence. Below is a great evp that Ken managed to capture on his digital voice recorder. In this evp you will hear Ken saying that is him making noise. You can hear a man's voice over Ken's saying, "no it isn't". As though the man isn't letting Ken take credit for something he didn't do. This was captured in the church kitchen.